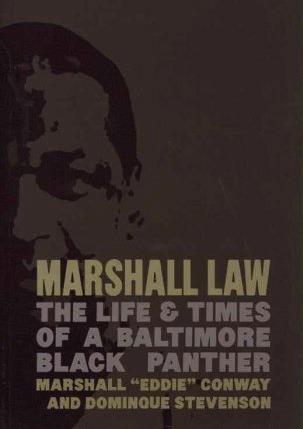 This short autobiography by political prisoner Marshall (Eddie) Conway is not so much a story about the Baltimore Black Panthers as it is a brief history of prison-based organizing in the state of Maryland. Having spent almost all of his adult life in prison after being framed for killing a cop in 1970, this makes sense. As the state clearly recognized the Maoism of the Black Panthers as much more effective in the fight for Black liberation than other movements at the time, they had agents planted in the organization from day one in Baltimore. One of the founding members in Baltimore, and the highest ranking Panther in the state, was exposed as an agent of the National Security Agency, while others worked for the FBI or local police. (p.48) Conway identifies the Panthers' rapid growth as a prime cause for its rapid demise, both due to infiltration and other contradictions between members that just had not been trained ideologically. (p.54) MIM(Prisons) takes it a step further in promoting an organizational structure where our effectiveness is not determined by the allegiances of our allies, but only by our work and the political line that guides it. Despite the seriousness with which he addresses his decades of dedicated organizing work, Conway expresses regret for putting his desire to free his people above his family. There is no doubt that oppression creates contradictions between someone’s ability to support their family directly and the system that prevents them from doing so. MIM(Prisons) is sympathetic with the young Conway, who put fighting the system first. Perhaps the most applicable lesson to take from this is for young comrades to seriously consider family planning and how that fits into one's overall plans as a revolutionary. It is just a reality that having an active/demanding family life is not conducive to changing the system. This account of organizing in Maryland prisons is one example that famous events like the Attica uprising were part of a widespread upsurge in prison-based organizing across the country at the time. 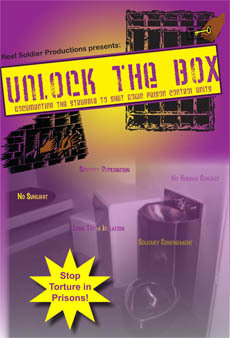 In a turning point for the prison movement, in 1971 Maryland prisoners began organizing the uniquely aboveground and legal United Prisoners Labor Union. The union quickly gained much broader support among the population than even the organizers expected. While Conway notes that the young organizers on the streets often found partying more important than political work, he discusses deeper contradictions within the imprisoned lumpen class. At this time, illegal drugs were becoming a plague that prison activists could not find easy solutions to. While organizing the union, a new youth gang arose whose interest in free enterprise led them to work openly with the administration in "anti-communist" agitation among the population. As many gangs have become more entrenched in the drug economy (and other capitalist ambitions) competition has heightened the drive to conquer markets. The contradiction between the interests of criminal LOs and progressive lumpen organization is heightened today, with the criminal element being the dominant aspect of that contradiction. Rather than outright repression, the easiest way for the guards to work against the union was to get less disciplined recruits to act out in violence. This point stresses the need for resolving contradictions among the masses before going up against the oppressor in such an open way. Education work among the masses to stress the strategy of organized action over individual fights with guards became an important task for union leaders. Of course, the state could not allow such peacemaking to continue and the union was soon made illegal; leaders faced isolation and transfers. This eventually led us to where we are today where any form of prisoner organizing is effectively outlawed in most places and labeled Security Threat Group activity, in complete violation of the First Amendment right to association. There's a reason Amerikans allow the labor aristocracy to unionize and not the imprisoned lumpen. A year after the union was crushed, an escape attempt led to a riot in which the full destructive potential of the prison population was unleashed because there was no political leadership to guide the masses. That's exactly what the state wanted. As a comrade in prison, intrigue is constantly being used against you by the state and you must takes steps to protect yourself. Conway tells a story about how one little act of kindness and his affiliation with the righteous Black Panthers probably saved his life. One major weakness of most LOs today is that they are rarely free of elements engaged in anti-people activity. As long as this is the case it will be easy for the state to set up fights and hits at will. Only through disciplined codes of conduct, that serve the people at all times, can such problems be avoided. Many of the things Conway and his comrades did in the 1970s would seem impossible in U.$. prisons today. The government began aggressively using prisons as a tool of social control during that period of broad unrest in the United $nakes. Soon the state learned it had to ramp up the level of control it had within its prisons. This informed the history of the U.$. prison system over the last few decades. And with the vast resources of the U.$. empire, high tech repression came with a willing and well-paid army of repressers to run the quickly expanding system. It is almost amazing to read Conway's story of Black guards, one-by-one, coming over to the side of the prisoners in a standoff with prison guards. (p.81) We don't know of anything like that happening today. As oppressed nationals of the labor aristocracy class have become commonplace in the U.$. injustice bureaucracy, we see national consciousness overcome by integrationism. Also unlike today, where prisoners usually have to give any money they can scrape together to pay for their own imprisonment (ie. pay guards' salaries), profits from commissary in Maryland actually used to go to a fund to benefit prisoners and the communities they come from. But Conway tells of how the drug mob worked with the administration to eat up those funds, using some of it to sponsor a party for the warden himself! The prison activists responded to this by setting up their own fund to support programs in Baltimore. That is true independent action, highlighting the importance of the fifth principle of the United Front for Peace. While all drug dealers are in essence working for the U.$. imperialists, this is even more true for those in prison who rely directly on state officials for the smooth operation of their business. Money is not decisive in the struggle for liberation; it is humyn resources: a politically conscious population that decides whether we succeed or we fail. This review skims some of the main lessons from this book, but we recommend you read it for yourself for a more thorough study. It is both an inspiring and sobering history of U.$. prison organizing in the recent past. 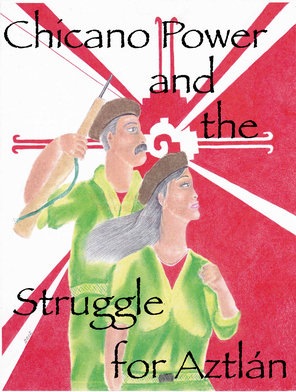 It is up to today's prisoners to learn from that past and write the next chapters in this story of struggle that will continue until imperialism is destroyed.